"It's like swimming in bottled water"
Chlorine free inground swimming pools are not only available, they are also practical and economical to operate. You'll notice a softer "feel" to your pool water. Swim Shack Inc. in Sugar Grove, Illinois is building new pools and retrofitting existing pools to eliminate the use of chlorine or salt. You will notice the pristine pool water. Swim Shack Inc. provides a chlorine free water purification system for inground swimming pools which electrically charges copper ions. These unstable ions bond with organic matter, killing bacteria and other organisms. This effectively sanitizes your swimming pool without the use of chlorine or salt. Dead organic matter is oxidized, burned up, by the copper ions. Using titanium electrodes, producing oxygen, provides a natural non-chemical "shock" to clean and clarify your pool's water. 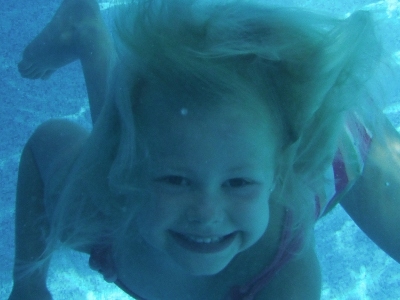 Titanium is environmentally safe, producing no by-products as it creates powerful oxidizers for sanitizing your pool. You'll see our swimming pool service trucks this summer through out the Fox River Valley in communities like St. Charles, Batavia, Geneva, Oswego, Naperville, Yorkville, North Aurora, Plainfield, Illinois and beyond. Call Swim Shack at (630) 466-4853 .